I literally could not care less any similarities between the different games actual art itself, this is just second hand through people I know that play and enjoy the game. Apparently a lot of the art is of questionable quality, especially for more common/trash character drops. It's one of the admittedly few things that my friends have been complaining about. Well yes all those games you named are made BiliBili, so it's possible they used same artist. But all those artist are hired on art website to be fair. It was the same deal with Panzer Waltz. I agree that some girls have the same kind of sterotype assigned but it does not change the fact that the game is doing well in Japan, and that is how it got popular. Because Japan! They confirmed it, a lot of artists has their own social media account and they announce it, their names are also listed in the Chinese wiki so people know who drawn who etc, some of the artist has kind of gained celebrity status because of their works are popular, for example the artist name Saru she is quite popular among the fans of WSG, GF and AL. I see, well the quality still feels a lot better than a lot of art of KC, i don't mean to bash on KC but quite a lot of original character art works did not age well compare to today's standard, for example the pre kai ni furutaka of KC...KC itself need a modernization of its art, they really should update the quality of the older characters i don't understand why KC don't do that, WSG did it they updated and replaced quite a lot of older not up to standard art work for their characters. Shoukaku! Get! 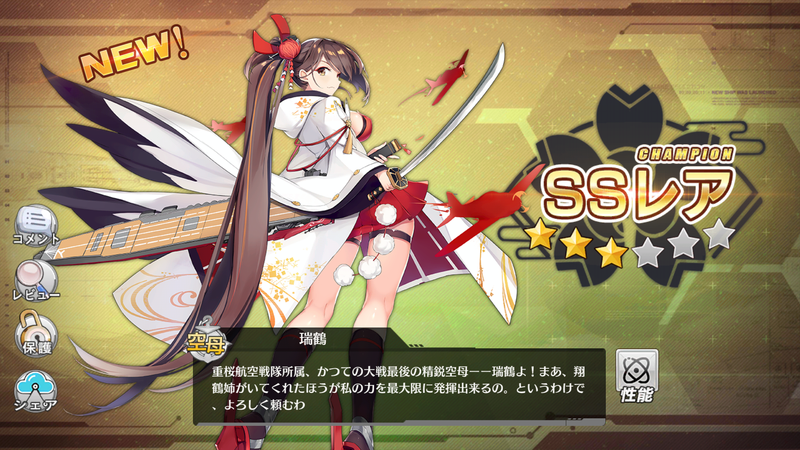 Now need Zuikaku from event! Damn it!!! I want her! I can't even get past A1, my ships are just not strong enough yet. I was wondering when a topic like this would pop-up. I still love and play KC, but AL has it's own charms. I play on the JP server. 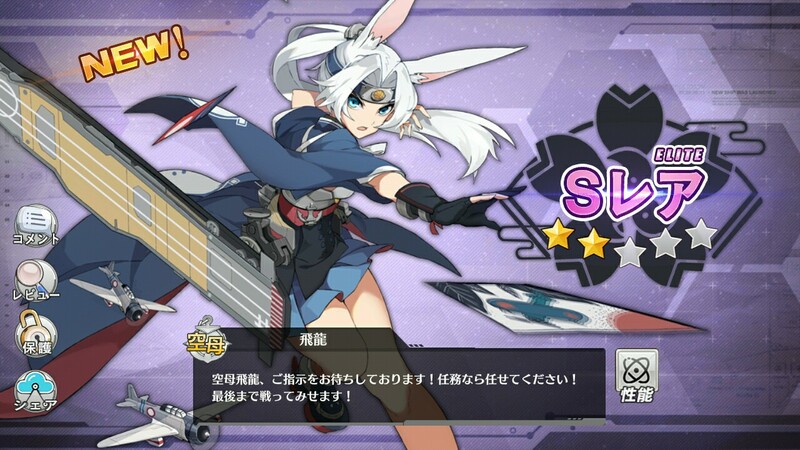 I've got Shoukaku and Takao twice from 10-builds so far. 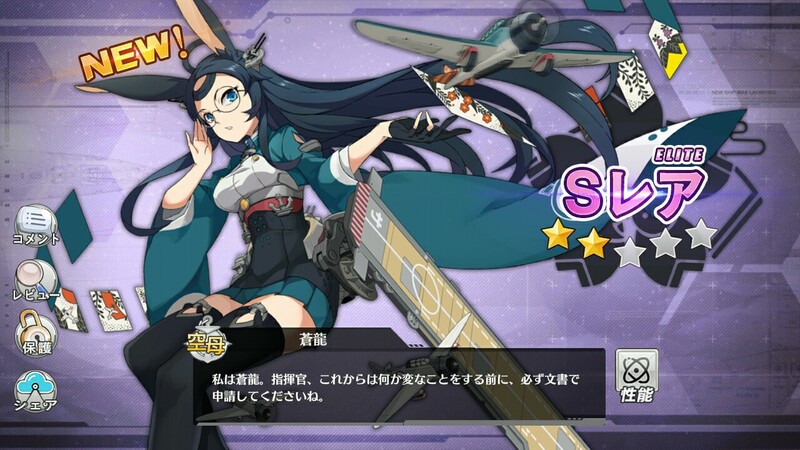 I'm hoping to get Enterprise, Hornet or Yorktown. Since I've only started like a few days ago, I'm still noobish at this. Any tips? 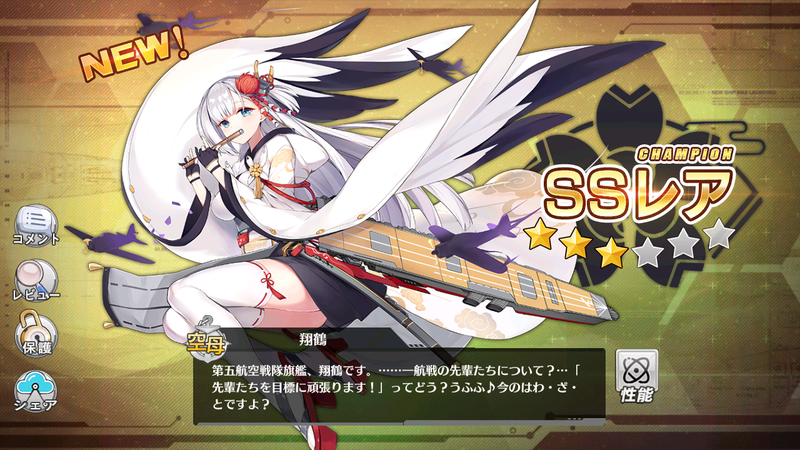 Well I got Enterprise, but not Shoukaku. 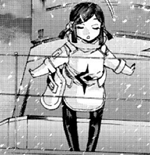 I also agree with you Mezurashi, this game has it's own charm and charecter like Kancolle. As for tips? Much like you I'm quite the noob and no offense to the wiki it is no where near as detailed as Kancolle's (probably because it is much newer), but I will say this, check the equipment you can give your girls often, and pay attention to the % it is like the fit bonus. Don't be cagey about the coins, you will often be at a surplus so buy what you can in the game market. 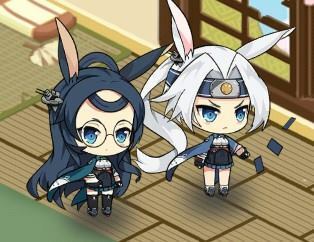 Also don't overlook the backyard, it is a great and easy way to quickly level up your ships, just buy the first expansion ASAP so you can use the happiness you gain to get more experience for your girls. I am on JP server to like the first post of this thread says! @Fog_Repair_Ship_Akashi and some others also joined up on the server since it has friend feature and "Fleet" (clan) feature...that one day I'll start. As for CV's your best bet to my knowledge is the crafting. 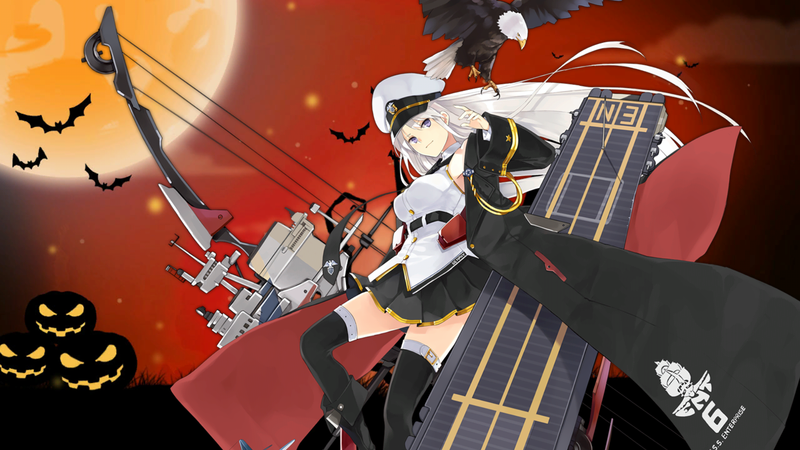 Right now with Fall event that ends on November 10th, the time-line option in crafting (Building Yard) offer a lot of rare ships, got my Enterprise and Shoukaku from there. Don't worry, I do have one too now! Yah but i got her first. Visit my house in game, you be jelly! I saw that on Danbooru. Like someone commented on there: "Dat Pudding..."
To be fair, even Kantai Collection has some iffy art quality, most especially when the game was new. For sure they were able to land some fabulous artists, but it's also apparent that especially at the time, they weren't expecting the game to take off the way it did. If you guys ever start a fleet clan invite me please. And I managed to snag a few "dragon bunnies". Gah! 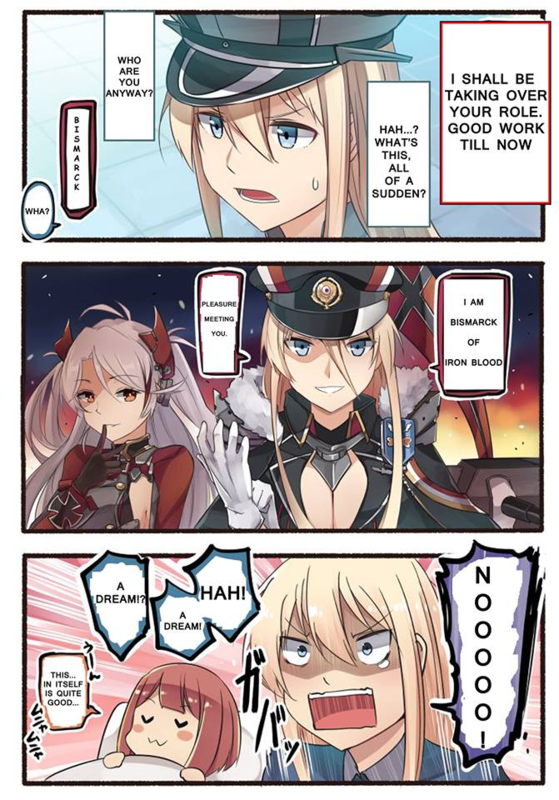 And all I have is Enterprise and Prinz Eugen. I swear my luckhas just gone to crap now. 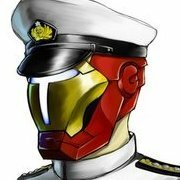 Also @Prinzy when you make a fleet in-game invite me as well. @Fog_Repair_Ship_Akashi Sure I know you are on my server! I finally got Enterprise as well.